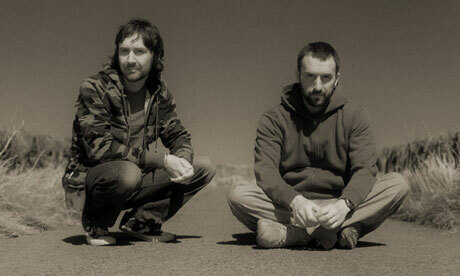 Boards of Canada are one of those word of mouth groups who, with the likes of Neutral Milk Hotel and Godspeed You! Black Emperor, have found a comfortable home in recommendation lists for new music listeners. The two Scottish brothers excel in making warm, calming electronic music perfectly straddling the gap between the immediately enjoyable and deceptively deep, with many new listeners describing a kind of eureka moment when all the puzzling bleeps and bloops click into place. Because of this common delay, Boards of Canada didn’t actually print too many records when still at full force during the turn of the millennium. Albums like Music Has The Right to Children and Geogaddi were highly praised and commercially successful at release but it wasn’t until much later that the music community realised just how good they were. Couple this with a constant stream of new fans attracted by their rock-solid cult status and anyone looking to buy one of their albums -second-hand and in decent condition- would have to shell out three figures. It says a lot that many people did. Obviously I’m a student and alcohol won’t buy itself so my record collection is decidedly Boards of Canada-less. The reduction of price to just under £20 (otherwise known as seven pints, a posh bottle of vodka or a small Starbucks’ coffee) for a LP seems much more reasonable for a classic album, even if it follows the general trend of vinyl prices recently by still being a fiver too much. An in depth description of why it’s objectively worth spending £81 or more on all three LPs and three EPs being reissued will undoubtedly strike the uninitiated as a bit bizarre. Boards of Canada’s music can’t be said to be anything remotely approaching what’s commonly popular. On top of this, it is almost impossible to describe just why they’re so good without sounding like a complete and utter prick. For starters, the two brothers make downtempo electronic music loosely inspired by old 70’s documentaries. This explains the name (from the National Film Board of Canada), the fascination with analogue synthesisers and the efforts they take to create a rich, visual atmosphere with slow build-ups, subtle shifts and repetition. Happy in a very mellow form, it becomes nostalgic with heavy sampling of children's’ voices, quirky, upbeat melodies and the fact parts often seem vaguely reminiscent of old-school BBC science programs. Boards of Canada use this deceptively simple premise, mix it with vague yet deep concepts and turn out some euphorically brain-melting material. No one can make a child saying “I love you” so deeply unsettling quite like them, and when they set their mind to it the duo can make you happy, scared, inspired, sad and want to dance within the space of five minutes. Most fans will recommend Music Has the Right to Children, Geogaddi or A Beautiful Place in the Country as the first ports of call, possibly due to the reason each one could easily be placed among the best records of all time, but it’s hard to go wrong. So go and buy one, and even if you don’t have a record player you can always buy one of them, take the digital download code and sticker telling you about the code before sending it off as a thoughtful, satisfyingly self-serving christmas present.